Finishing a product is always a bit of an achievement for me. 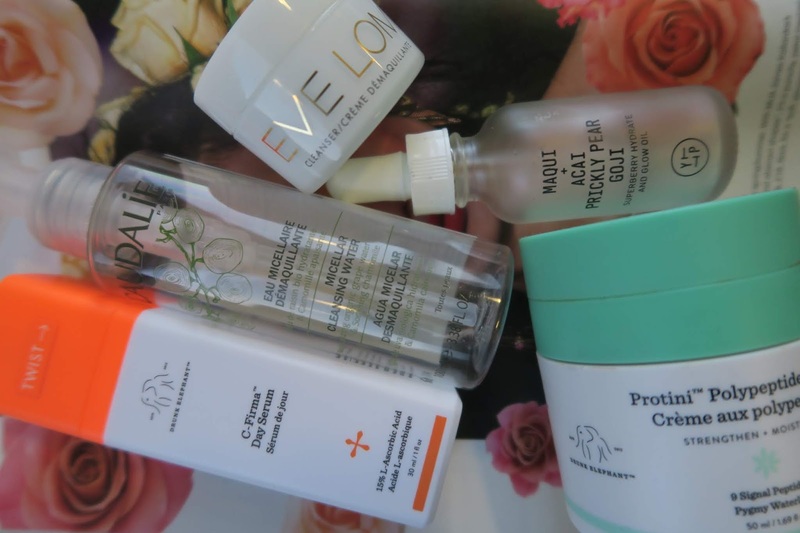 Over the last year I would say, I’ve really got to know what my favourite products are, what works well for my skin in terms of skincare, and what makeup I use the most. My beauty drawers had a huge clearout at the end of last year - it was all getting a bit too ridiculous in terms of how many products I had and hardly used. 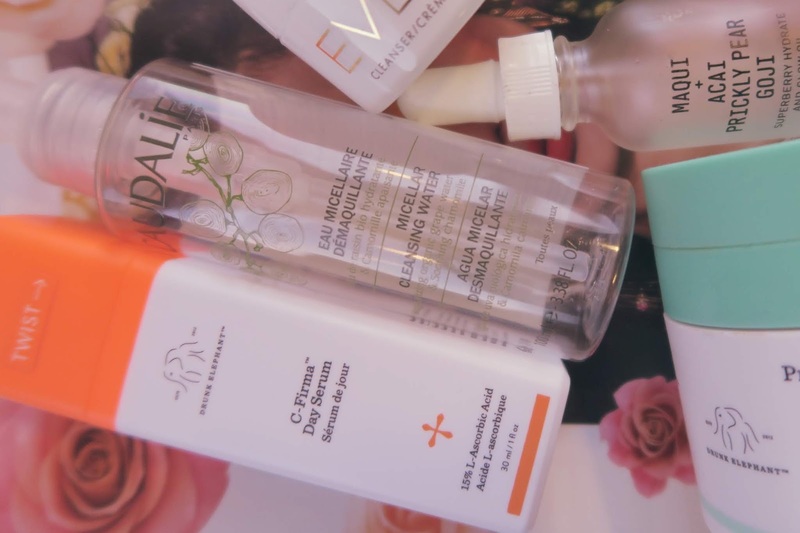 You may have seen my recent Sephora spree on here, but I am trying my hardest to use up as much of my beauty stash as possible this year so everything can be a bit more streamline in terms of everyday products. I thought I’d share my empty products from the last 6-8 months, and if I’ve repurchased or not. I packed this every time I was going on a work trip so I had something to take my makeup off with at the end of the day. At home, I use the Bioderma Micellar Cleansing Water - I have done for years! But, I can never be bothered to decant, or hunt down a travel-sized version of it. This one from Caudalie works just as well. Repurchased? No - I’ve actually found a travel sized version of my Bioderma one, so I’ll stick with that. We all know by know I love the Drunk Elephant brand and their products. HOWEVER, I’m going to have a little moan, and this doesn’t just apply to them! That’s exactly what happened here - I went to pump the tub, and only a little bit came out - it had basically run out! Bit of a nightmare on a Wednesday morning when you’re trying to get yourself ready for the day, but I got over it pretty quickly! Repurchased? I haven’t repurchased this (yet) as I bought a new moisturiser in Sephora that I want to try out, but I loved this product, so I’m sure I will when I need a new one. As above - I was gutted when I went to put this on, and realised it had run out! I use this daily, and so I felt quite lost without it! Repurchased? Hell yes, and on my way to work that same morning! I get through pots of this stuff, and have been using it for a good few years. The one in the photo is the travel-sized version, which I finished on my recent trip to the states. I have a large version sitting in my bathroom, which is nearly finished. Repurchased? WELL. I actually made the decision to purchase a new and different cleansing balm whilst in Sephora. I’ve decided to try a new one out, and the one I bought (Farmacy Green Clean, FYI) felt so good on my face when I had my facial with it, that I can’t wait for my large Eve Lom balm to run out so I can have a play with this one. I absolutely love this oil. I use it twice a day, everyday and I have literally just finished the bottle even though I bought it last Summer when I was in the US - a little really does go a long way with this product. Repurchased? Yep! It was the first thing to go in my shopping basket when I was in Sephora last month. I use this daily, and whilst I’m starting to think that I may try a new brow product, I still love this one. It does its job, and has been a permanent fixture in my makeup bag since I was introduced to it about 2.5 years ago! Repurchased? It was rude not to when I visited their store in New York last month! I have a mascara post planned for WLDN, so won’t got into this one too much here. But, for someone who struggles with short, straight lashes, this mascara did work for me. Repurchased? No, but I would consider doing so once I need a new mascara. Not the first time I’ve used this dynamic duo - I tend to use them in the Winter months more than Summer, when I need that little bit more coverage under the eyes, etc. My three go-to fragrances, all ran out within a month of each other! I love all these scents, but for me, the English Pear and Freesia will always be my favourite of all - I wore it on my wedding day! Repurchased? Yes - I picked up a bottle of the English Pear and Freesia at the airport, along with one of their new ones from the Wild Flowers and Weeds collection. There you have it! If you have any questions on any of the products above, feel free to DM me on Instagram.